May is Historic Preservation Month. 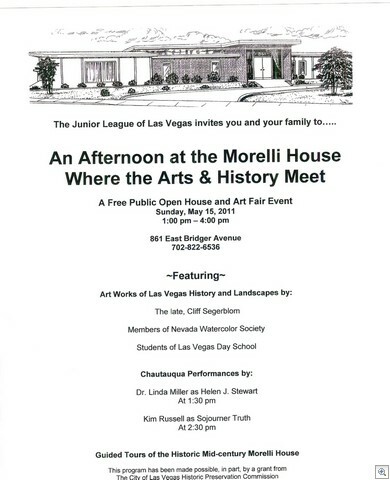 Among the events is the one that’s always my favorite isThe Morelli House Open House. If you’ve never been to the Morelli House, it’s an opportunity you shouldn’t pass up. The Morelli House, which is the crown jewel of the Mid Century Modern Preservation movement in Las Vegas will be holding it’s spring open house on Sunday, May 15th from 1 to 4pm. They’re also holding a simultaneous art fair which will showcase works that depict Las Vegas History and Landscapes. The flyer below is clickable to see if full size. 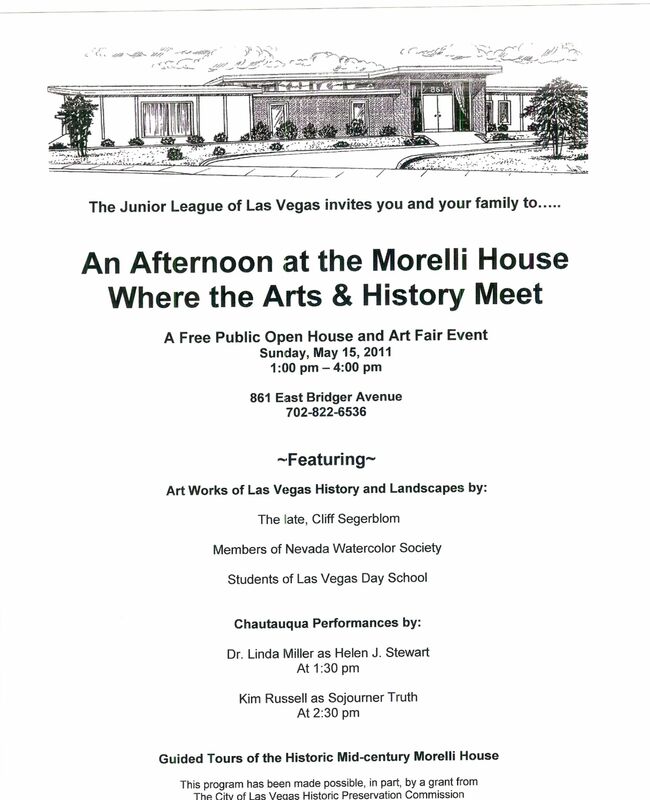 The Morelli House was rescued by the Junior League. It originally was the home of famed Sands Hotel Band Leader Antonio Morelli, and was located at the the Desert Inn Country Club. The back story about Antonio Morelli, the home, the rescue and relocation to downtown are all available in this link.